Listen, I'm not disparaging using really good knives—they can literally change your life, or at the very least, the way you work in the kitchen. 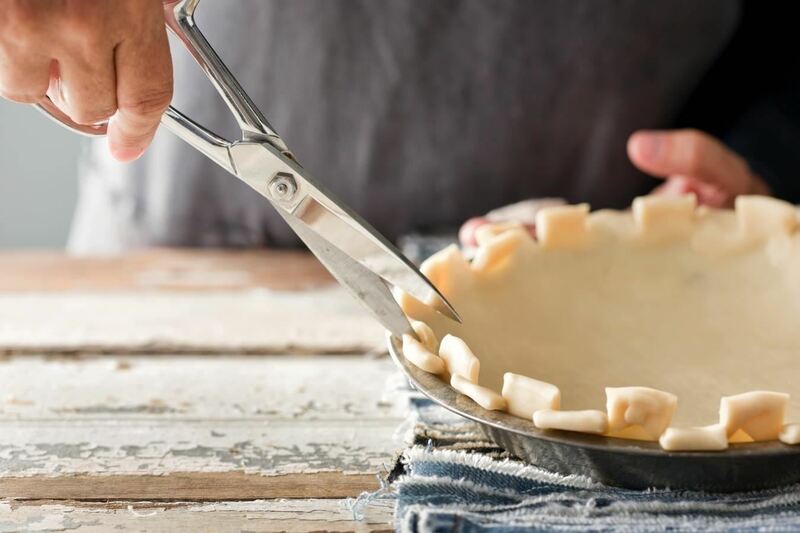 However, there are many cutting and slicing tasks where you're better off using a sturdy pair of kitchen shears rather than a chef's or even a paring knife. In fact, when it comes to underappreciated kitchen tools, a good pair of shears is second only to wooden chopsticks. Keeping a good knife sharp means knowing what tasks to save it for. If you're cooking for company and you want your food to look extra nice, the clean cuts a chef's knife can create are key. If you want to do fine slicing, julienning, or mincing, definitely depend on a chef's knife. But for more workaday kitchen tasks, kitchen shears are not only easier to use, they're more efficient. Serious Eats points out that if you're unsure of how to use a knife for a certain task, shears are almost always a safer bet, too. 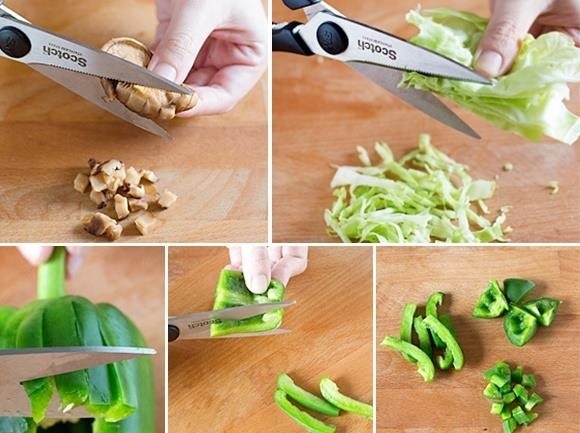 Want to snip thin cuts of meat into pieces for a stir-fry? Use kitchen shears and you won't dull your chef's knife when it slices through the meat and hits your cutting board. 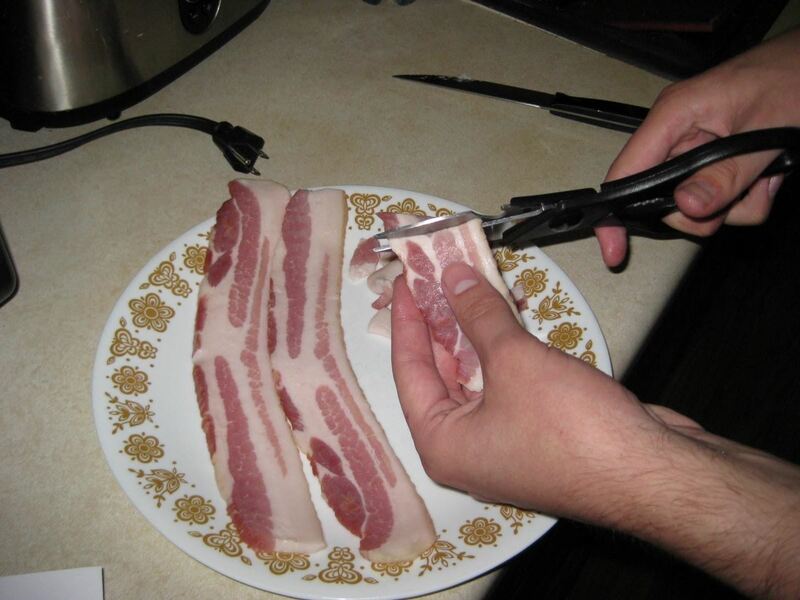 They're also great for snipping bacon into bite-size pieces and trimming fat off meat without all that hacking and sawing. When you buy a cut-up chicken at the store, much of the money your paying goes for the labor of breaking down the bird. Buying whole chickens and cutting it into thighs, wings, drumsticks, and breast with your shears is much more economical. Truthfully, it's much, much easier to cut up a chicken with good shears instead of a chef's knife, at least for non-professional cooks. I've used both tools for the task, and it takes a few minutes with a good pair of shears, even for relatively unskilled cooks. There's a lot more time and elbow grease involved with a chef's knife. Chives, green onions, green beans, and even young asparagus when it's tender are easily snipped into bite-size pieces with shears, and you don't need to dirty a cutting board: just snip away directly into a container or bowl. That goes double for herbs of all kinds. 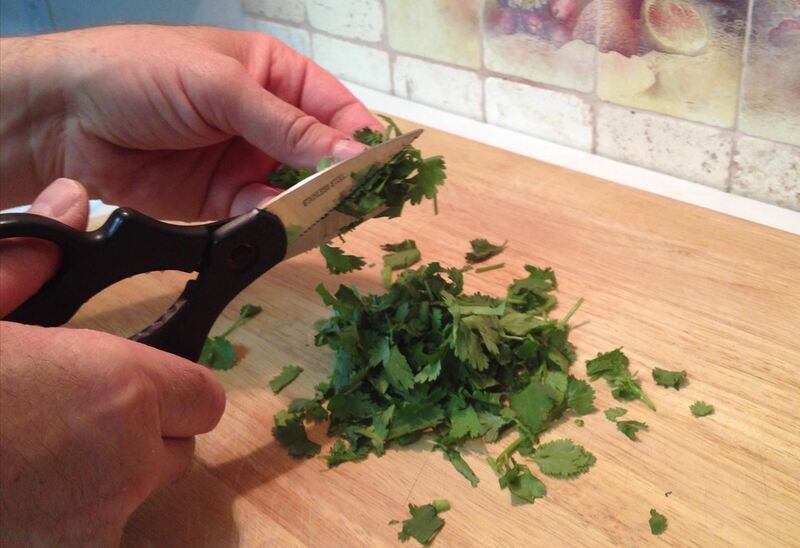 Because herbs tend to be so delicate and fine, I think most non-professional cooks are better off using shears as opposed to a knife, since shears offer more control. Trust me, I've bruised many a fresh bunch of basil because I've incorrectly tried to chiffonade it. With kitchen shears, it's taken about thirty seconds and none of the basil was ruined. Shears are also indispensable when it comes to prepping artichokes for steaming when you need to snip off the sharp ends of the leaves. I hate dirtying a cutting board or my food processor if I don't have to. 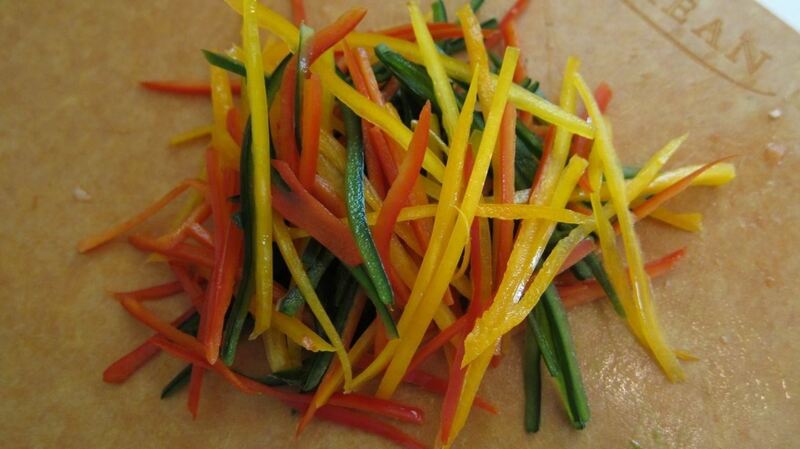 If I'm confronted with a crisp, easily cut vegetable like a bell pepper or mushrooms, I resort to shears rather than my chef's knife, which I save for hard, bulky, and thick items like potatoes, citrus, apples, carrots, and onions. 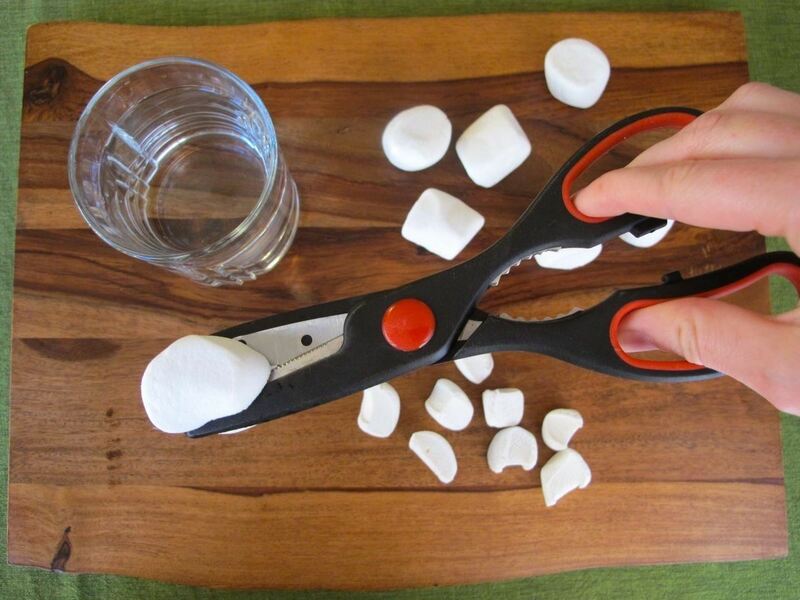 Katie F. uses shears to quickly snip bread into cubes for bread pudding. 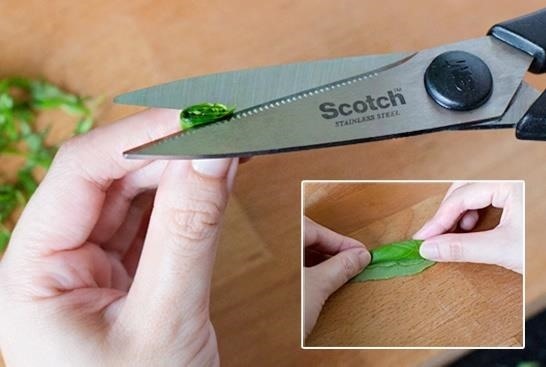 This would also work great for croutons. About.com points out that they work well to cut up tortillas into strips or chips as well as trimming pie crusts so they fit exactly within your pan. 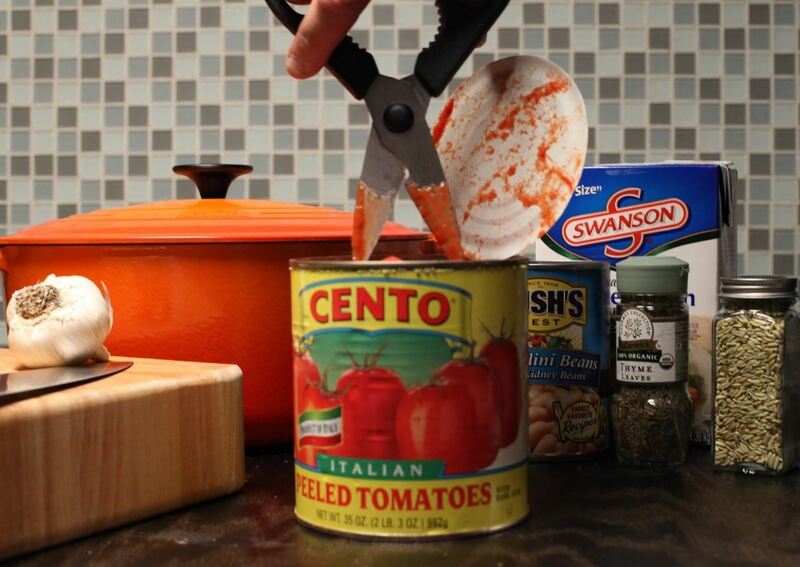 I take a tip from writer Laurie Colwin and cut up tomatoes right in the can (it's easier if you drain the juice beforehand, but not totally necessary). Bon Appétit accurately says that this works for any fruit or vegetable that comes in a can, like pineapple rings or bell peppers. 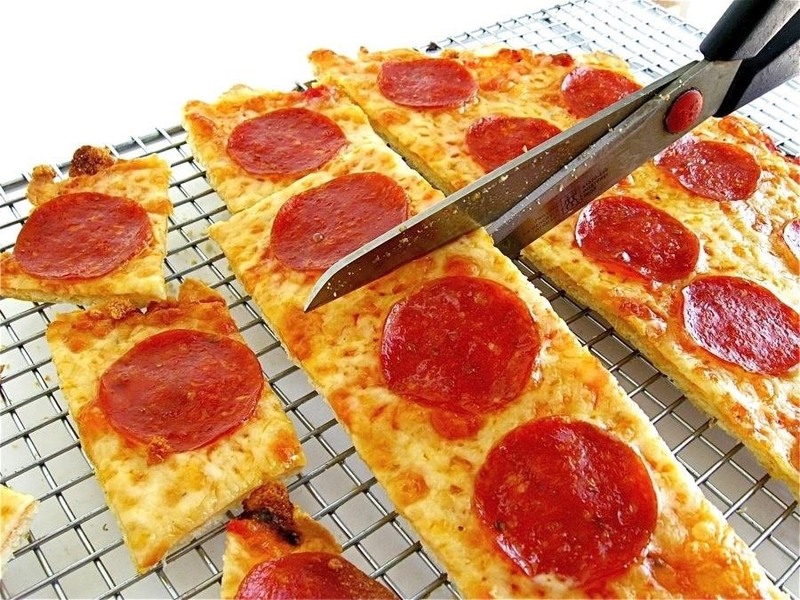 Heck, there are even special pizza-cutting shears, but I've found a regular pair will work just as well for cleanly cutting through crust and cheese—you don't get those long, persistent strings of melted cheese when you use shears. Bon Appétit also describes how shears work really well for cutting up problematic items, like sticky dried fruit, and making food bite-sized for your kids, like mini-marshmallows. You can also use them to snip away at any irregular or too-large pieces in soups and stews that you may have missed before. 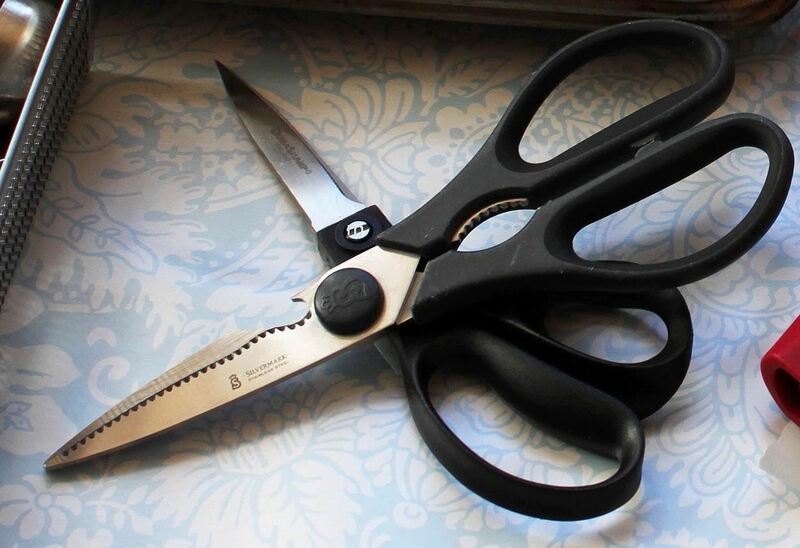 When do you use kitchen shears?